Yog Sunder was born on July 16, 1921 in Limbdi, near Surendranagar. His maternal grandfather was the Diwan of the State (of Limbdi) and his name was Jhaverbhai Amin. His father "Darbar" Gopal Das belonged to Gujarat, hailing from Vaso, near Nadiad, in former Baroda State. He was the Inamdar of Baroda State, in addition to being ruler of Dhasa State, near Amreli-Junagarh and was the Talukdaar of two villages, Rai and Sankli. He was Desai and Amin by title but Patel by caste and a Vaishnavite by religion. Yogen or Yog Sunder had four brothers of whom three were older and one younger, no sister. Yog Sunder alone took to the arts. His father was a benevolent ruler who mixed freely with his subjects and also undertook the Dandiya Raas with them, on festive occasions. Thus, a Prince was exposed to dance and dandiya from his childhood. That this Prince later took to dance seriously and became a known king of choreographing folk and free dance style, is an interesting part of Indian dance history. Growing up in Havelis of Gujarat, where singing and dancing was part of the Vaishnavite culture, Yog Sunder was early on cast in the mould of bhakti. His uncle was very religious and used to bring sadhus home. All this influenced Yog Sunder. In Vaso, Yog Sunder's family has their own temple of Govindji, and it still exists and is in service. He chanced to see Uday Shankar in the early 1930s at the Royal Opera House in Bombay and this made a deep impression on Yog Sunder. He saw a Hunter's Dance in Bhavnagar (on stage) and was so impressed that he copied and performed it in school. School was the Bardoli Ashram, started by Gandhiji himself, near Surat. Both of Yog Sunder's parents had joined Gandhiji's movement towards rebuilding of India and they often stayed at Bardoli, helping. Later, they joined the Dakshinamurthy School in Bhavnagar. He did his matriculation from Gujarat Vidyapeeth, founded again by Gandhiji. Since Yog Sunder also had an aptitude for painting, he went to Santiniketan as this institution had influenced many Gujaratis then. Yog Sunder studied (Ist year) at Viswa Bharati, then called Shiksha Bhavan and went for painting and arts later. He undertook full time painting in Kala Bhawan under the legendary Nand Lal Bose. Kelu Nair was the teacher and Yog Sunder learnt Kathakali from him too and Manipuri from Guru Atombapu Sharma. Additionally, he learnt Rabindra Sangeet from Santidev Ghose. His desire to learn was immense, so from a fellow student from Java, Prahastu, he learnt Javanese dance. It was Kelu Nair who told Yog Sunder that if he wished to learn dance seriously, he had to go to Kerala. So he went on vacation to Kerala for three months to Kerala Kalamandalam, met poet Vallathol and asked for Guru Vazhenkada Kunchu Nair. Ravunni Menon was the principal and Kunchu Nair was his best student who had joined Kalamandalam as his assistant. Although, he had gone just for three months, Yog Sunder chucked up Santiniketan for the real thing and stayed on in Kerala for four years. Kelu Nair had recommended learning from Kunchu Nair. Yog Sunder rented a place near Kalamandalam where he and his guru stayed and the training in Kathakali began. At Kerala, he continued on his own with no money from home. Although Santiniketan period was provided for by his family, once he chucked it up, he felt they may not support him as they may think he had left a great institution for some south Indian jungle stuff. Kathakali was not much known then and Kerala was land unknown to Gujarat! It still is, in certain quarters of north and west India. And that applies to almost all parts. We Indians are not curious about other states or cultures, just wallow in our little wells and claim greatness. In order to fund his training in Kerala, Yog Sunder went to Calcutta to sell the famous leather purses of Santiniketan. Rathindranath, Gurudev's son, was so impressed with his efforts that he gave him a handsome commission. To survive, Yog Sunder went to Bombay every now and then to make some money. Life in Kerala was simple and austere and Santiniketan had helped prepare this Prince to live simply anyway. His father never objected to all this but secretly he feared that a Prince's character would be spoilt by exposure to dance! This, thus, was status of dance then. He also learnt from Guru Krishnan Nair for a short while when his guru was busy performing. 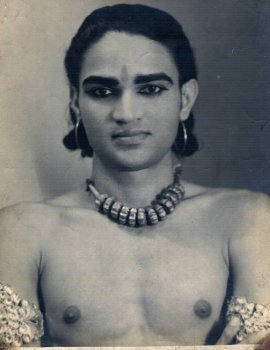 By then the legendary dancer Uday Shanker's group had broken up and two members, Pinakin and Dharamshi also came to Kerala for 6 months; all three - Yog Sunder, Pinakin and Dharamshi studied together for six months at Ambalapuzha from Guru Kunchu Nair, who joined the Kottakal Arya Vaidya Sala Kathakali troupe as a Guru, so Yog Sunder shifted there while Pinakin and Dharamshi joined Zohra Sehgal's newly formed group called Zohresh at Lahore. Though this was an Ayurvedic institution, it maintained a proper Kathakali group and doctors prescribed relaxation by watching Kathakali to in-house patients! I went there with my father in 1976 and stayed 3 nights and we were treated royally, both herbally in ayurvedic oils and through feats of long Kathakali performances! 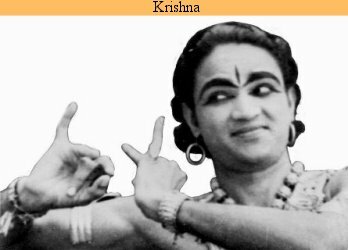 To further his love of Kerala dance forms, Yog Sunder learnt Krishnattam from a guru (who cannot be named here for reasons of secrecy!). He learnt few pieces from this guru secretly, because outsiders were not allowed to be taught this temple-ritualistic dance done only by Brahmins of temple attached to the Guruvayoor temple and no outsider, especially non-Brahmin were even allowed to watch! The guru was paid Rs.8/- (equal to Rs.8000/- of today, at least) and two mundus (veshtis). Krishnattam does not have exaggerated bhavas like Kathakali (late Prof. Mohan Khokar's comment). Since it is performed for Krishna in a temple, the immediate audience is supposed to be there out of bhakti, not for entertainment. Besides, it has episodes, only one of which is presented on a night and each lasts 3 hours. He also learnt some Mohiniattam. Formerly, Kalamandalam had Mohinattam as a subject but when Yog Sunder went there this had been discontinued. As Mohiniattam girls had married dancers - Thankamani married Guru Gopinath and Krishnan Nair's wife also was a Mohinattam girl, the institution did not wish to be known as a matrimonial agency too! Yog Sunder was very keen to learn, so he found an 80-year old Mohiniattam guru, Kochmalu Amma, whom he brought to Thoothapuzha near his guru's village to learn from. During his period of learning, he did not do professional shows, even if he was near penury and needed money. To sustain himself, he went to Bombay (as stated before) to perform and first appeared on stage in 1945 in a production 'Jai Somnath' of Kulapati Munshi (the founder of Bharatiya Vidya Bhavan schools). Yog Sunder was Bhimdeva, Nayana Jhaveri (later to become a famous Manipuri dancer with her sisters, popularly called the Jhaveri sisters) was Chauladevi; Goverdhan Panchal did settings; Malti Mehta, costumes and Yogendra Desai (not be mistaken with Yogen Desai, or Yog Sunder, our man here) was Kapalik. All joined to do dance compositions. The production partook of Kathakali and Manipuri styles. Overall direction was by Goverdhan Panchal. Many shows were presented. Other productions he participated in, in that period were for INT (Indian National Theatre). He did 'Bhookh' in Kathakali style. His Guru Kunchu Nair was also in it. He depicted "hunger." 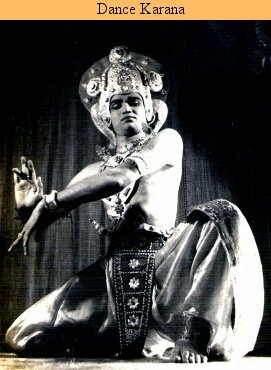 Yog Sunder also did a version of Mahabharata in silhouette technique by Dancer's Guild started by Nataraj Vashi. In this, Yog Sunder did 3 or 4 roles. This was about the time Uday Shankar was doing his Ramlila shadow play. Yog Sunder also did Tagore's 'Chandalika' and 'Tasher Desh.' These dance dramas were done in Bombay, directed by Praveen Doshi and Bachubhai Shukla had done the Gujarati translations. The costumes were done by Vasoji, leading art teacher of Santiniketan. So, it can be seen, whatever Yog Sunder learnt, he put it to good use and never forgot his teachers and gurus. This is a rare quality amongst dancers, especially later day ones. Yog Sunder started his real career with Ram Gopal. Passing through Bangalore, he just wished to meet Ram, the legend. 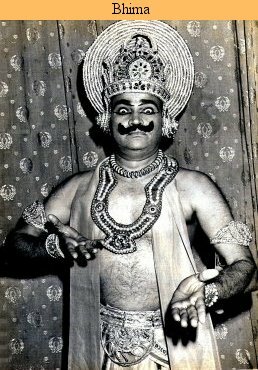 Ram had also learnt from Guru Kunchu Nair so he invited Yog Sunder to join his troupe. Tara Chaudhuri, Shevanti, Rajeshwar were also members. By now, Yog Sunder had learnt some Kathak from Pt. Bhurelal, father of Pt. Sohan Lal and Hira Lal, who had taught Ram Gopal some Kathak too. Then Ram made a tour of undivided India, his last, because after that he and Tara quarreled over financial matters in Lahore. The tour ended in Nagpur, without Tara, who left the group. (Tara was a Muslim girl who took on a Hindu name to learn Bharatanatyam as gurus those days hesitated to teach Muslim girls). Yog Sunder was not very satisfied with Ram Gopal for several reasons, the main being: Ram was not up to expectations. The reason why Yog Sunder had joined Ram was because Ram was considered next to Uday Shankar in importance. Yog thought he would learn something solid, especially of show business but he was disappointed. After this, Yog went to Calcutta. He did not tell Ram he was leaving forever. In Calcutta, a new chapter began. Pinakin, Ghansham and Anadi Prasad were there and they all got together with Yog Sunder to form a team. These three had already formed a performing group called 'Three Brothers,' gave a few shows and then having failed, they suggested to Yog Sunder to take the lead and form a group. Yog Sunder liked the idea. They started 'Indian Progressive Ballet Group.' They were the 4 main artistes. It was started on a cooperative basis - to share profits equally. Investment was 100% Yog Sunder's by borrowing from acquaintances in Calcutta. Few others in the group so formed were Bansi Chandragupta, for costumes and décor, later art director for Satyajit Ray films; S Prabhakar for literary work, scripting, organization (he later married Madhubala's younger sister). Music director was Amiya Kanti (sitarist), nephew of the great Timir Baran (Uday Shankar's musician), and later Jiten Goloi, who was an assistant music director for Shankar's 'Kalpana' (music director being Vishnudas Shirali). Female dancers were all locals: Dipti Ghosh, Preetidhara, Sudha (Pinakin married her), Lili (Ghansham married her). The team had a good start, as Yog Sunder had Kathakali and Santiniketan background and the other 3 had Uday Shankar's background. Publicity was given as "artistes from Uday Shankar Centre and Santiniketan." War had just ended and there was a vacuum in cultural activity. There were very few shows on stage or in cinema. So this team came out with a dance program. It was Yog Sunder's idea to have it on cooperative basis. But strangely, the kind and financially foolish man he was, he agreed to bear all losses and if any profit was made, it would be split 50-50! This shows his generosity and royalty, though this trait cost him during his non-active and earning years. A man with a heart of gold soon proved to be a misfit in a world of cheats and charlatans. Items planned for such programs were dances of India, orchestration, no solo music. No ballet. Same group with same name ran in Calcutta with Anadi and it became his, not a co-operative. But actually the original group died out once the 4 parted. Main cause was jealousies, conflicts among the artistes. They thought once the group was formed with the help of Yog Sunder and started doing well, they would oust him. Even originally there was friction regarding whose name among the 4 should come first - Yog Sunder, the nice man, suggested to go alphabetically - so his would come last! Then there was also a quarrel if one got 4 lines in write-ups and another got 5! Love angles and jealousies also played a part. Both Pinakin and Ghansham were attracted to Lili. So Ghansham left first, then, after a few months, Pinakin left because he was asked by Ragini Devi (mother of Indrani Rahman) to join her troupe. He thought Ragini would take him abroad as La Meri had taken Ram and Ragini had taken Gopinath. Anadi and Yog continued for sometime and then parted. Yog Sunder cared for the group so he financially provided for it. He borrowed Rs.1000 from a friend and he pushed sales of ticket too. The first show they did was in Kalika theatre in south Calcutta and was a house full show earning Rs.5000/- and more. This encouraged the group. But unfortunately, on the same day of the 1st show, Yog Sunder's father's gaddi, or seat of state, or symbolic power, was returned by the British after 26 years of having usurped it because his father had joined the Gandhi Movement. It was a very big occasion but Yog Sunder could not attend it because of his show in Calcutta. As he did not go home for this grand occasion, there was a misunderstanding in the family and about Yog Sunder himself. In 1948, he started his own personal group, having learnt from previous experiences. It was called the Indian Revival Group. First 2 programs, he produced with Sadhona Bose (she was paid a fee) in which she gave dance direction. Items were ballet 'Birth of Freedom' (remember India had just become independent from foreign rule in 1947); 'Ajanta,' 'Freedom Festival' - a variety program was produced in August '48, Independence Day. 'Birth of Freedom' was almost an hour-long ballet. Music was by Timir Baran - other dancers were Balakrishna Menon, Moni De. 'Ajanta' was about an hour too and dancers were same as above and additionally music was done by Amiya Kanti. About 4-5 shows took place in Calcutta. That time Sadhona Bose had started dissipating and could not concentrate on work. Yog Sunder approached her and engaged her. Yog Sunder was a young man; it was very difficult for him to persuade a senior like Sadhona to work with him but he succeeded. She joined him, found him sincere in a cause and he had no known evils artistes generally have - no drink, no smoking, no tea, and he even washed his own clothes! Another ballet in same group Yog Sunder performed with Sadhona was 'Abhisar' (or Vasavdatta), based on Tagore's poem Abhisar, about a dancer who came in close contact with Upagupta, disciple of Buddha. Sadhona was Vasavdatta and Yog Sunder was Upagupta. It was a short 15-minute ballet. In 1952, he again worked with Sadhona in her group formed in Bombay called New Age Dancers. This group produced one ballet, again called 'Ajanta' based on the earlier Calcutta production of same name. This was a full length ballet of two and a half hours. Artistes were: Sadhona (Vasavdatta); Yog (Upagupta), Randhir (the film actor, as king); Sachin (also a film actor who died in 1966). Music was by Timir Baran and it was performed in Excelsior, just 2 or 3 shows. It was repeated in Calcutta at New Empire where another dancer - Diptendu - joined them. After two shows, nothing. In that era, immediately after independence, lots of artists were very patriotic and created themes built around our ancient culture and freedom struggle. India had been under a long colonial rule of almost 400 years, so lots of Indian traditions were diluted or lost. It was left to these artistes to recreate Indian myths and stories; legends and history. About this time was started a group 'Mystic Dancers of India' by Jyotikshana Ray and her two sisters Gayatri and Indrani. They all had been members of the Sadhona Bose group. The Mystic group presented only 2 ballets, Ramayana and Geet Govind, before Jyoti herself moved to Australia and Indrani committed suicide, it seems. In Ramayana, the three sisters had participated and Yog was Rama; music was by Khagen Dasgupta. In Geet Govind, Yog was Krishna and Jyotikshana was Radha. Only 4 or 5 shows took place. All this shows how precarious the mortality rate or shelf life of dance groups then were. Artistes came together out of good intentions but with no proper management or financial skills, failed to sustain after a few shows. Lot of energies was wasted in new start-ups. Yog Sunder had already started his Indian Revival Group in 1948. After leaving Indian Progressive Ballet Group, he wanted to have a solid group that would stand the test of times. 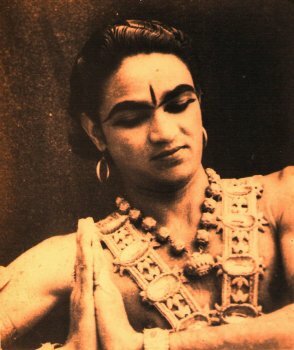 The third production was a full length ballet 'Mahabharata' in 1950. Yog Sunder was the producer-director and Arjuna. 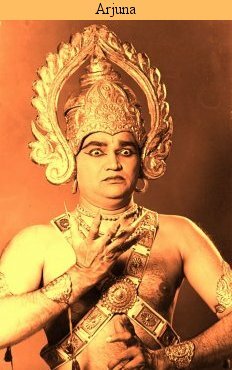 Balakrishna Menon did Baka, Dushasana and wicked roles. Chhabi Chatterjee was Draupadi, Lakshmi Roy (later to be Moni De's wife); music: Chandrasekhar. The style was mostly Kathakali and production was in silhouette, shadow and stage; grand scenes like coronation, reception in full light, lyrical pieces in silhouette, war scenes etc that can be magnified to advantage were in shadow. This was first presented in Purna Kumbh Mela, Hardwar. It was for open air but failed totally! It was ambitiously thought that 5-10,000 audiences would turn up and over 15 shows were planned. The organizer did not listen carefully and planned for smaller enclosure accommodating 4-500 only and just 2 or 3 shows took place. After that, they did variety items under Indian Revival Group called 'Dances of India' at a few places and at the Defence Academy in Dehra Dun. On the whole, there was loss and Calcutta shows also did not fare well. In 1951, Yog Sunder went to Malabar for massage and practice. This was common those days that people, especially those who travelled and performed a lot, looked after their bodies. Then his father died and he had to be home for 6 months. After this phase, he joined Sadhona Bose in Bombay for 'Ajanta.' This production was by Sadhona, not Indian Revival Group and she engaged Yog Sunder. In 1952, Yog Sunder had Indian Revival Group shows of 'Dances of India' in New Empire in Calcutta and nearby towns. In 1953, a Capt. Kaushik came to Calcutta and wanted to take an Indian dance troupe abroad. He became Managing director of Victorian Textile Mills, Panipat and was clever and connected. He gave Yog Sunder many shows but the foreign tour did not materialize as Kaushik failed to raise finances and the main financier, also a Kaushik, died in an air crash. In 1954, Yog Sunder's IRG went to Egypt through INT of Bombay, to entertain a chartered cruise ship 'SS Independence' of over 500 Americans. Indian artistes had to join the ship in Port Said and give 6 dance shows on the 6 days of travel from Port Said to Bombay. One lecturer Ajit Mukherjee also went to introduce the shows and a yogi to teach yoga! The shows were a raving success, but earned little for Yog Sunder. In 1955, Yog Sunder had devised an elaboration of 'Dances of India' program and called it 'Rhythms of India,' a spectacle of India's rich and varied dance heritage that has stood the test of time and remained ever popular, evolving in the last 60 years. In 1957, he visited the Soviet Union. For any artiste to go to the USSR was big time. It meant ultimate official approval and recognition of work. After return to India, Yog Sunder had more shows and tours. IRG performed at the First Command Performance at Rashtrapati Bhawan before the 1st President, Dr. Rajendra Prasad and 1st Prime Minister, Pt. Nehru in 1957. Subsequently, IRG performed for Dr. Radhakrishnan, Lal Bhadur Shastri, Indira Gandhi and many international leaders such as Mrs. Kennedy at Rashtrapati Bhavan and abroad. IRG recorded the first dance program for Doordarshan. In 1959-1960, he toured the Middle East countries, independently by land route - Afghanistan, Iran, Iraq, Syria, Lebanon, Gaza, Kuwait. In Kabul, IRG performed at a girl's college, where the girls decided to remove their burkhas and go home in protest, stirred by seeing Indian girls performing on stage! The tour lasted 7 months. This was the first time any Indian dance troupe had gone to these countries, except Cairo and Beirut where Mrinalini Sarabhai had gone. Whole tour was extempore, fuelled by the adventurous and enterprising spirit of Yog Sunder, without any prior booking in any country, and on a cooperative basis where all were equal partners. They were cheated everywhere. In Kuwait, no public shows were allowed, as this was against Islam (women dancing) but they gave shows for Indian community and oil companies. In Gaza, they performed for UN forces. Following Gandhiji's ideals of taking art to the masses, he performed in the villages of Gujarat before villagers who had never witnessed such a performance before and gave them their first performance space by erecting permanent stages which still stand today! Their performances were highly sought after and villagers would greet them with drums and shehnai! In 1963, the Folk Dances of India was produced. It toured India and Europe in 1964. IRG was sent by the govt. to participate in the International Folk Dance Festival in Istanbul and the Group won an award. A two and a half month tour took them to perform in East Europe, Turkey, Hungary, Yugoslavia, Morocco and Cairo. Some of these countries were visited on their own. Yog Sunder took art to the army jawans, performing for the Indian Army under the patronage of General Maneckshaw several times. Endowed with an incredible spirit and enthusiasm, he undertook highly adventurous and strenuous tours to border areas in Ladakh and Arunachal Pradesh. He and his group performed in inhospitable conditions using oxygen masks and wearing army boots and jackets, performing on stages created by joining trucks while headlights of the trucks provided stage lights! 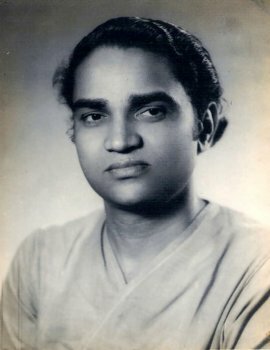 Yog Sunder directed the 'Ram Lila' for Shriram Bharatiya Kala Kendra in 1966. His magnum opus titled 'The Man Divine' based on Tagore's poem 'Shishu Tirtha' is a tribute to both Gandhi and Tagore, the 2 men who influenced him in life, produced in 1969 for Gandhiji's birth centenary. He was invited to participate in the First Ballet Festival of Sangeet Natak Akademi, under Mohan Khokar, in 1976 and he presented productions on contemporary themes called 'Journey' followed by 'Darkness at Noon' in the Ballet Festival in 1977. He directed 'Ram Katha' in 1980 incorporating folk theatre traditions and story telling techniques of various states. Yog Sunder designed Cultural Festivals of India in London in 1985 and in Edison, New Jersey, USA in 1991 for Akshardham Sanstha, which became a benchmark for subsequent festivals of the organization. He also designed and organized programs for Rashtrapati Bhavan for the Ministry of Culture. Sangeet Natak Akademi Archives documented two of his productions in 2006. 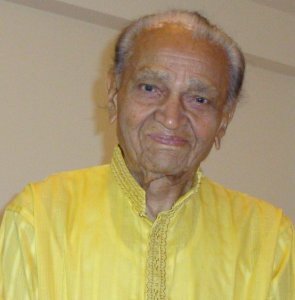 Yog Sunder was selected for the Sangeet Natak Akademi Puruskar for 2008. IRG recently premiered their new production 'The Rising' at Sangeet Natak Akademi's Choreography Festival held in Mumbai in January 2009. Yog Sunder married Geetasree Gupta in 1965. She was a member of IRG from 1957. She hailed from Bengal and has been his partner in life and work. They had four children, Papiha born in 1966 and three brothers, one each in 1975 (Pallav), 1977 (Pranay) and in 1979 (Prashant). Indian Revival Group completes 60 years of unbroken chain of existence. Yog Sunder never got any real support from govt or its agencies. He survived purely on self esteem and steam. Influenced by Gandhian principles, Yog Sunder has carried on his work all these years selflessly without chasing wealth and fame. For someone who has enriched the cultural landscape of India, at home and abroad, he remained a rather neglected artiste in officialdom, save some benevolent eyes. His best years were the mid-fifties to the eighties. With changing taste and growing bureaucratic control of cultural institutions, genuine art workers like him have been relegated to sidelines in the last two decades. He served the cause of Indian dance and for that alone he stands celebrated. Ashish Mohan Khokar remains devoted to dance history and heritage. With 32 books and scores of articles for magazines, newspapers, the net, he is actively helping further dance education and knowledge. A trained classical dancer, he was dance critic of the Times of India in Delhi and Bangalore, besides contributing special dance related columns to India Today. He edits and publishes India's only yearbook on dance called attendance, (www.attendance-india.com) hailed by UNESCO as a model dance journal. His inheritance in theory and practice of dance from his parents, Prof. Mohan Khokar and Guru MK Saroja has vested in him authority and honesty; commitment and compassion to dance art. 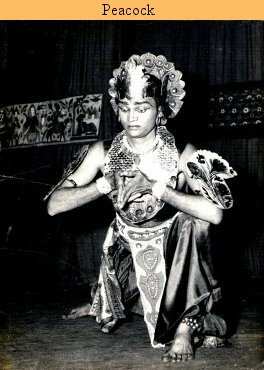 He is now keen on organising India's biggest dance archives created by his father (www.dancearchivesofindia.com) and seeks support from all dance lovers.